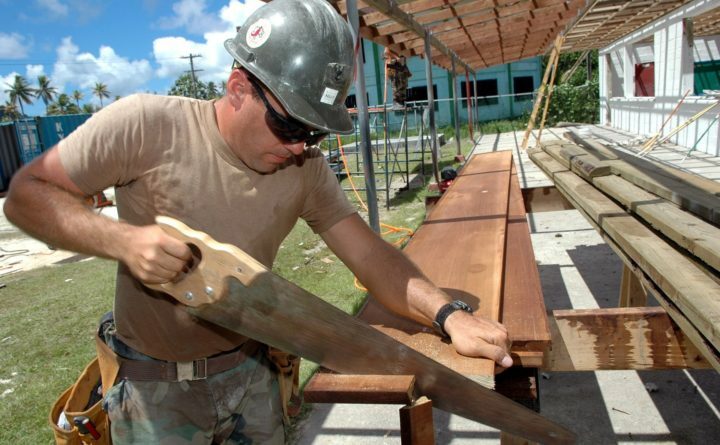 A tight labor market is coninciding with increasing demand for construction workers nationwide. Demand for construction workers is booming, but hiring qualified salaried or hourly workers is tough in Maine and elsewhere in the country, prompting a construction industry group to label the labor shortage a crisis. Maine is following national trends, with about 81 percent of the construction firms that answered a recent survey reporting trouble filling hourly craft positions. Another 44 percent in Maine said finding salaried personnel is difficult. The survey was released Wednesday by the Associated General Contractors of America, a Virginia-based trade group, and Autodesk, a California software company that helped put together the survey. Some 2,500 construction firms responded to the survey, which also included detailed data on 34 states. Since only 16 companies responded in Maine, the state wasn’t among the data breakouts, which required a minimum of 20 respondents. AGC provided the Maine data separately to the Bangor Daily News. “The labor shortage in the construction industry is severe and widespread,” Ken Simonson, chief economist for AGC, said during a telephone news conference Wednesday. “It’s significant in all areas of the country.” It also cuts across all sizes of construction companies, he said. The tight labor market is causing companies nationwide to change the way they operate, recruit and compensate workers. Simonson said 62 percent of U.S. construction firms said they are increasing base pay, improving benefits, adding training and giving bonuses. There’s a similar trend in Maine, with 47 percent of companies saying they have raised the pay or benefits of salaried workers in the past year because of the tight job market. And 69 percent of companies said they had raised the pay or benefits for hourly workers. In Maine, the salaried construction positions that are hardest to fill include project management and supervisors, estimating personnel for projects, safety personnel and quality control workers. General laborers and hourly equipment operators of crane and heavy equipment are the toughest to hire, more than half of construction companies responded. Other hourly workers who are difficult to hire are carpenters, concrete workers, electricians, mechanics and pipelayers. But the pickings are slim in terms of the quality of personnel in the pipeline or those being trained for future jobs, according to the Maine companies surveyed. Fifty percent of Maine companies rated the adequacy of the local pipeline for supplying well-trained hourly craft personnel going forward as poor. Close to 44 percent rated the ability of those coming down the pike to pass a drug test as poor, and 25 percent rated their potential ability to pass a background check as poor. Foreign labor hasn’t helped, according to AGC’s Simonson, largely because it takes a month or more to get approval for the federal H12B visa program workers. “It’s been a very unsatisfactory process. Construction firms need workers quickly … and are on tight deadlines,” he said. In Maine, the majority of construction workers are non-Hispanic white people, according to AGC data. Consumer and business customers already may be seeing the effect of the labor shortage in their projects. Half of the Maine construction companies said they have had to increase prices of bids or contracts, while 31 percent are building in longer completion times into contracts. Some 44 percent said projects already are taking longer than expected. The good news is that only 6 percent said there was a rise in reportable injuries, while 81 percent reported no change. Most Maine companies surveyed were small, with 44 percent having 49 or fewer employees and another 44 percent having 55 to 249 workers. Each company’s total work performed over the last 12 months was $12 million or less. Part of ACG’s plan is to help solve the shortage by promoting education, training and in some cases, encouraging that construction companies add more technology to improve efficiency. “With a rise in the share of firms having trouble finding skilled craft workers, it’s evident that we need to reskill the future workforce,” Sara Hodges, senior director at Autodesk, said during the news conference. “Technology can help bridge this gap, and more firms are bringing training in-house to implement digital strategies such as building information modeling,” she said.